Fort Żabice was built in 1887-90. According to the design, along with a parallel fort built in Czarnów, it was built to secure the communication node and river crossings in Kostrzyn from the south. The artillery placed in both forts was intended to control the radius of several kilometers of the open space, in particular the key shipping routes. Apart from an episode of the spring of 1945, when the fort was briefly taken by the Red Army, it never played its assigned role. During World War II, a branch of the Słońsk munitions factory operated here. 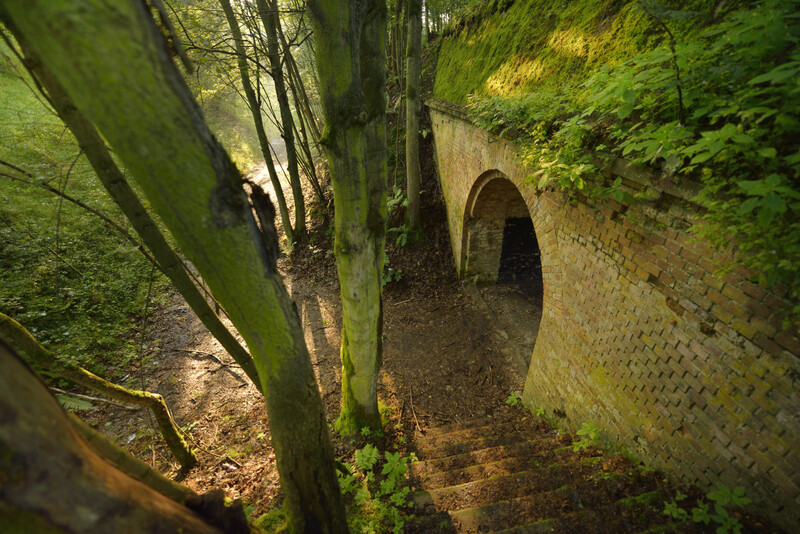 After 1945, the fort has become gradually devastated and overgrown with vegetation. Despite this, it is relatively well preserved in comparison with the forts located on the Polish side of the border. Its condition allows to walk along the dry moat, and also to explore the postern (underground corridor) situated above the inner courtyard.